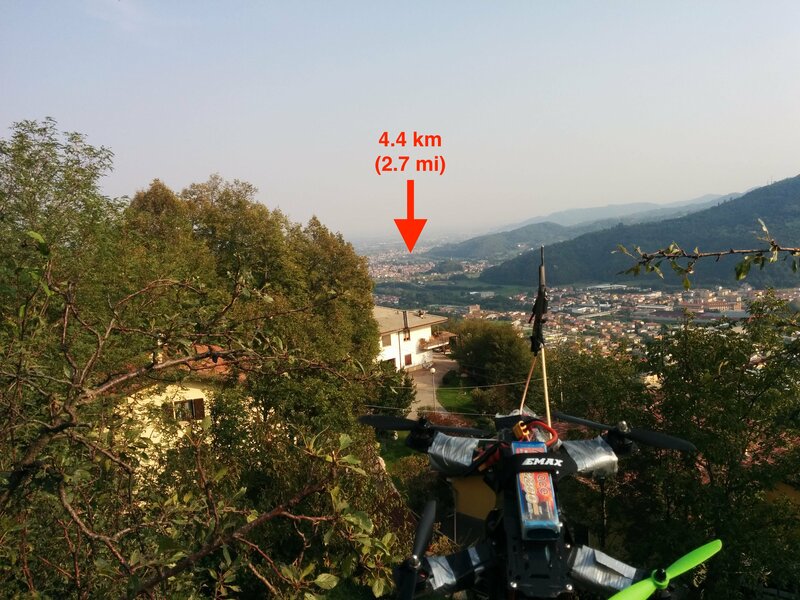 Line of sight with the transmitter: most likely not the case. Most of the received signal was likely reflections from nearby objects. A solid 5 Mbps stream, as long as the 3 dBi receiving antenna was kept in the same position, a few cm from the receiver. That’s one of the reasons why we are saying we didn’t have line of sight. Unfortunately the green field to the right of our mark on the map was cultivated and difficult to access. As theory suggests, lowering bandwidth to 2 MHz let us lower transmitting power to 10 dBm (10 mW) without losing signal. Changing frequency to ones with a higher noise floor didn’t give us those nice results, so make sure you select a good frequency before flying! 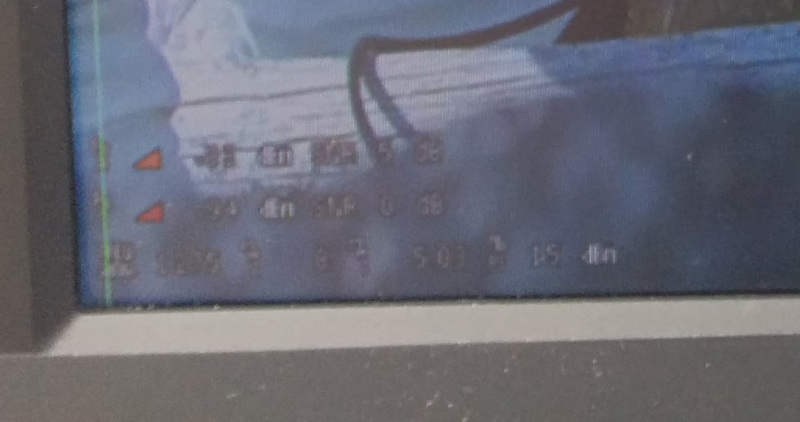 Just wanted to point out that there is no advantage in using circular polarisation with this system, so you probably shouldn’t as the antennas are so expensive. 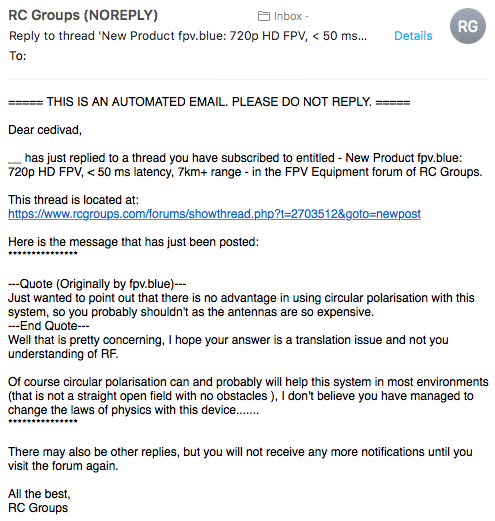 Well that is pretty concerning, I hope your answer is a translation issue and not you understanding of RF. Of course circular polarisation can and probably will help this system in most environments (that is not a straight open field with no obstacles ), I don’t believe you have managed to change the laws of physics with this device……. Dear poster whose name I removed, let me explain how we managed to change the laws of physics. Or rather, how we are working around them. In OFDM, the beginning of each symbol is preceded by a guard interval. As long as the echoes fall within this interval, they will not affect the receiver’s ability to safely decode the actual data, as data is only interpreted outside the guard interval. Circular polarisation is popular with analog FPV because of its ability to attenuate reflected signal propagation paths by a few decibels. You don’t want reflected paths in analog FPV as they will be interpreted by the analog receiver at the same time as the actual, non reflected RF signal, reducing the performances of the latter. However, fpv.blue, being a digital system, can completely reject reflected paths. We have a nice guard interval option in our modulation menu, where you can select the length of this guard interval. If you are flying to another galaxy you might want to use 1/4 as a guard interval (one quarter of the symbol length will not be interpreted and the receiver will sleep waiting for echoes to go away). 1/4 can reject reflected paths up to 64 kilometres away (see the menu for more details). We really should be removing this option as the free space path loss for 64 kilometres is huge anyway and people might be selecting it, decreasing video bandwidth for no reason. A more reasonable value is 1/16, that is selected by default. If you already have expensive circularly polarized antennas that are in good condition, use them! If someone told you you need to purchase expensive antennas to have good performances with this system, link them this blog post. LCom sells a ~1100 MHz 8 dB patch antenna ($37). This isn’t suited for our frequencies, but RMRC carries a modified version ($47), where they opened the antenna up and trimmed the elements to tune them to 1280 MHz. It should be easy enough to do the mod yourself! If you really feel crazy about range, you can get a yagi… That you will probably want to use beside a patch as manually pointing yagis is notoriously difficult, so just stick to the patch.